YES! 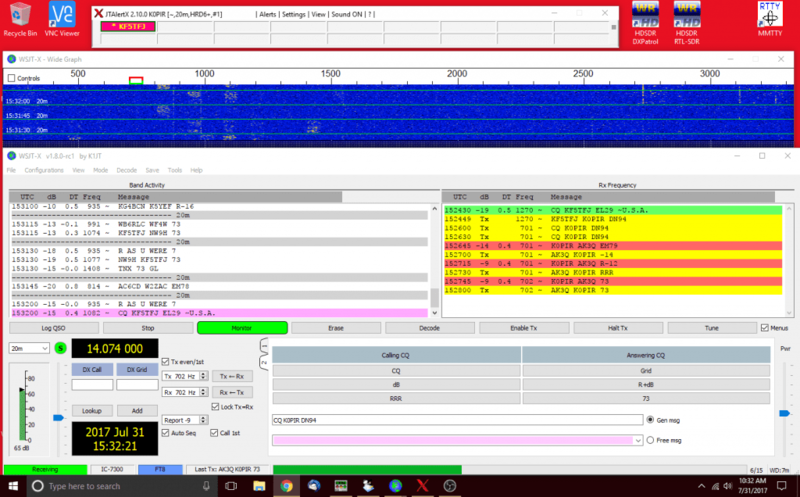 There’s a new mode, FT8. FT8 is fast and the ability to make contacts quickly is pretty exciting. Also, more good news: Ham Radio Deluxe V6 logging is again supported by JTAlert. In addition to logging my QSO’s from WSJT-X in to HRD Logbook, JTAlert notifies me when a needed station is on. We’re back in business! WSJT-X also generates the standard messages for you. If you already have WSJT-X, just upgrade to the latest and the same goes for JTAlert, get v2.10 if you want to use logging to HRD v6 or if you want the FT8 mode. If you are new to this, I have a article on getting everything installed and working. See WSJT-X JTAlert Automatically Logs To HRDLog. Also, have a look at Icom7300 WSJT-X Combined With HRD and JTAlert. In the video above: Icom 7300 settings, NR & NB settings, turning AGC off, increasing FIL1 to 3.6k, split mode operation, USB driver date, WSJT-X settings and JTAlert settings. In this video: Calling CQ and making FT8 contacts. This is using automatic sequencing. WSJT-X does all the work. Using JTAlert, it logs right into HRD logbook v6.4. 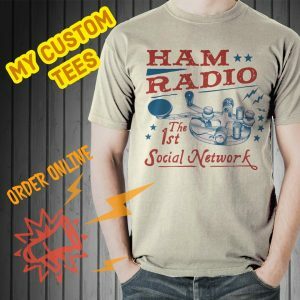 From there it is uploaded to QRZ.com, HRDLog.net and eQSL. Sometimes the other person sends the same transmission over and over. They are either not able to decode my message (poor prop, QRM) or it’s user error. They may not be using auto sequencing. Questions or comments? Please make them below. Update: I got a message that HRD v6 support in JTAlert will be discontinued after v2.10. I enjoy your videos so much I an thinking of getting a ICOM I now have ft2000d the support is not there .Your videos explaine cover then very well.i would like to know the video number or date for setting sound card to the proper level. I use hrd ,wsjt and jtalert. Windows 19 pro. Nice to hear from you and thank you so much for commenting here. That’s a very good question. I hope those are what you are looking for and there are associated videos. Thank you again, best to you and yours, 73! Thank you very much for this excellent video. In the video you mention changing your HRD database to SQL. I think you said there were instructions on your site for how to do this, but I can’t seem to locate them. Did I misunderstand? Thanks! One of the links on there is not correct (dead link), but it is not hard to find the correct one. Read the comments too. Okay? Why do you operate in split mode? Is it because you are using both WSJT-X and HRD at the same time? Great question. Split mode is better because the transmitted signal is not degraded. If you’ve worked PSK, you may have noticed when you transmit out of the 1500 to 2000 Hz window, the transmit power goes down a little. I used to see that when I operated PSK. The same principle as above I believe. Thanks for asking, best 73 and hope to hear you on.